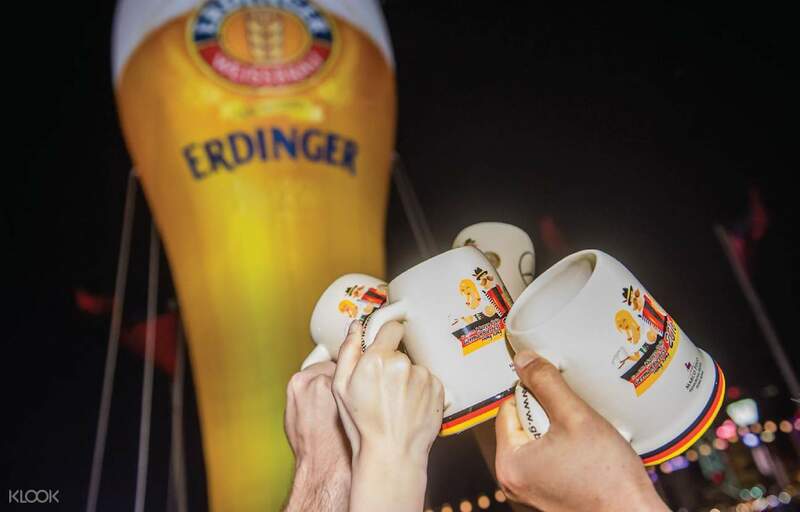 Grab a ticket to the 2019 Marco Polo German Bierfest for a night of German beers, food, and live music! Don't miss out on the great entertainment from the incredible The Notenhobler band from Germany! It was such a wonderfully and enjoyable event. Good arrangement to get the ticket. 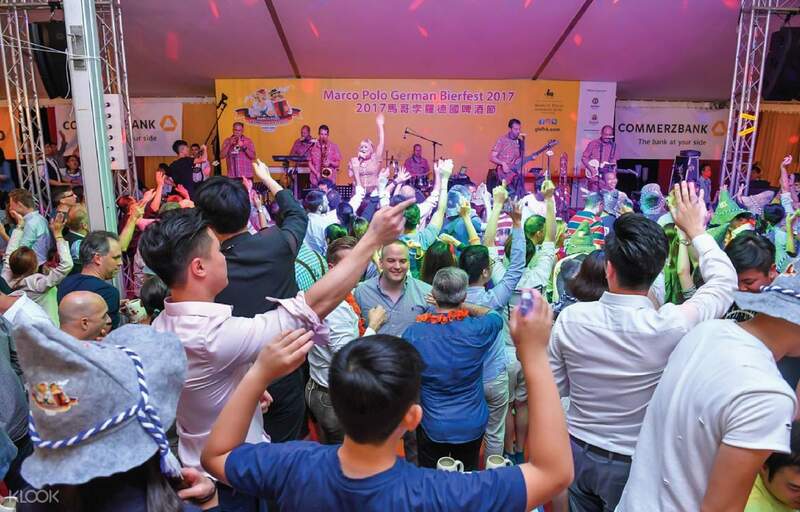 Hong Kong's Victoria Harbour erupts into a party spectacle of music, food, and most importantly, taps flowing with authentic German beer in the Marco Polo German Bierfest 2018. Pick up your admission ticket to this incredible event which celebrates the 27th anniversary of this widely popular annual event! Your admission ticket opens the doors to a night of music, merrymaking, and numerous varieties of beer, from the German wheat beers to the fine lager beers that will satisfy any aficionado. 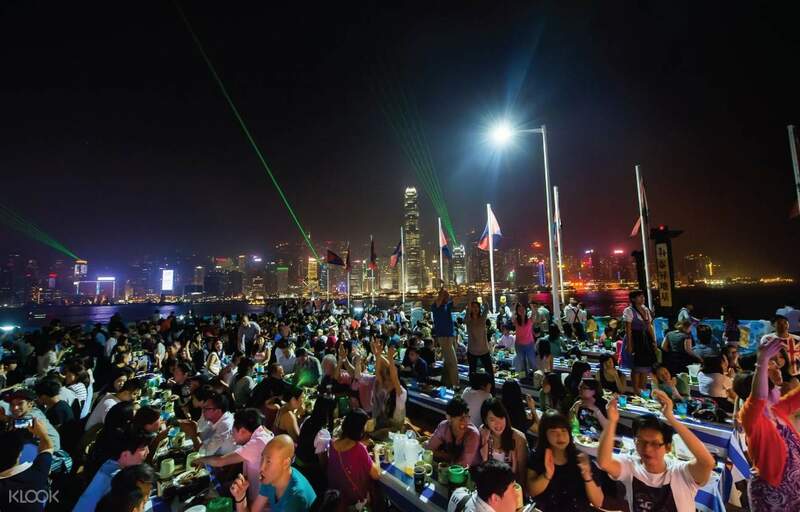 Along with the beers come a diverse selection of food options, from Roast Pork Knuckle to Pan-Fried Salmon Cutlet, along with other traditional German dishes and desserts. You'll also enjoy live music by the Notenhobler Band who, along with the energetic songs, provide some madcap antics and games to keep the party going. 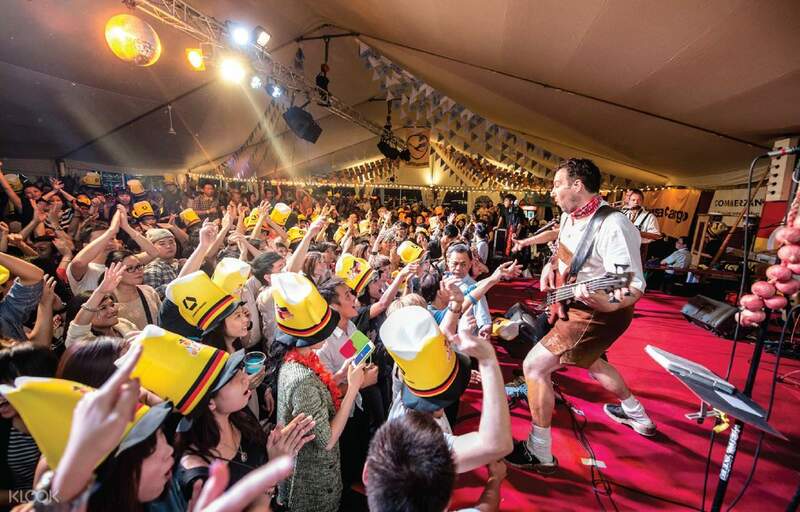 Grab your ticket and enjoy a night of liquor and liveliness at the German Bierfest! When there's a celebration, there must be beer! By the glass or by the liter, there's German wheat beer to lager beer! Top-up your Octopus to reduce queuing time! Excellent for the free entrance. We have chosen the Halloween night. Though drinks and food is not included in the free ticket, the performance is great. Excellent for the free entrance. We have chosen the Halloween night. Though drinks and food is not included in the free ticket, the performance is great. have fun and enjoyable night at this festival, must join again next time, thx klook for the arrangement. have fun and enjoyable night at this festival, must join again next time, thx klook for the arrangement. Speedy redemption, great atmosphere and food! Didn’t know KLOOK has food vouchers! Speedy redemption, great atmosphere and food! Didn’t know KLOOK has food vouchers! Oktoberfest is great. Atmosphere is superb! Lots of German food options though the price is not cheap. Happy hour during 6-7 buy 1 get 1 free. It would be better if klook offer discount tickets on other dates. Oktoberfest is great. Atmosphere is superb! Lots of German food options though the price is not cheap. Happy hour during 6-7 buy 1 get 1 free. It would be better if klook offer discount tickets on other dates. The free event is awersome! Fast to redeem access and efficient! The free event is awersome! Fast to redeem access and efficient! Thanks for the band from munich, we managed to have such a blast with live music, dance and songs; and we could immense ourselves in this traditional bierfest culture. The atmosphere was great, everyone was having fun! Thanks for the band from munich, we managed to have such a blast with live music, dance and songs; and we could immense ourselves in this traditional bierfest culture. The atmosphere was great, everyone was having fun! fun fun fun! will do again with more friends next time! fun fun fun! will do again with more friends next time!